News Americas, NEW YORK, NY, Fri. Jan. 25, 2019: The West Indies cricket team gave their critics and fans alike something to talk about Thursday, as they bowled out England for a mere 77 runs to take command of the first test series in Barbados. After being dismissed for a whopping 289 before lunch, the Windies bowlers sent the Englishmen in to bat and their bowlers took command. 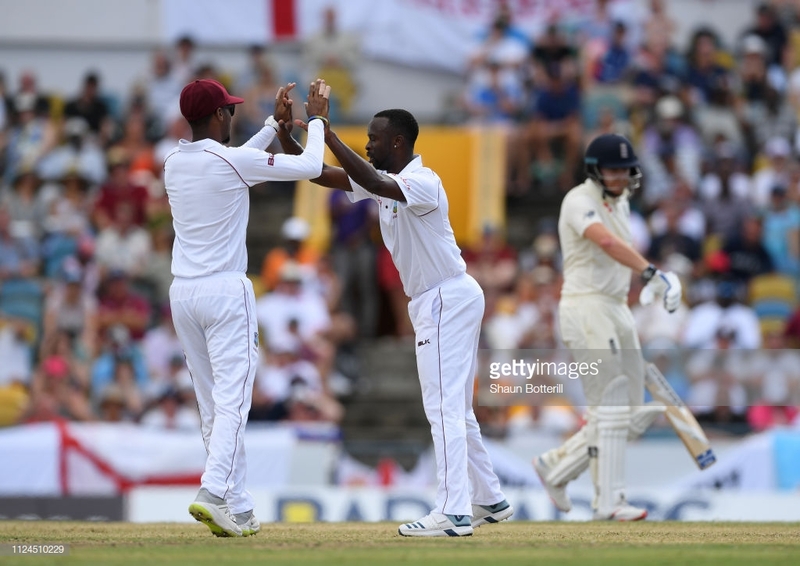 Kemar Roach claimed 5-17, Jason Holder 2-15 and Alzarri Joseph 2-20 to dismiss the tourists in just 30.2 overs in the lowest total in Test history at a raucous Kensington Oval.The only batsman for the English to reach double digits was Keaton Jennings, who top-scored with 17. England have now twice been bowled out for less in the Caribbean – managing a meagre 46 in Trinidad in 1994 and 51 in Jamaica in 2009. Their collapse came 10 months after they were skittled for 58 by New Zealand in Auckland. The West Indies will take to the crease for their second innings, adding to the huge total already amassed in the first innings. The West Indies and England will play 5 ODIs (One Day Internationals), 3 Test matches and 3 T20s. The Windies side will include new West Indies recruit, Jamaican John Campbell. The 25-year-old was on Tuesday named in the West Indies 13-man squad for the first Test of the Wisden Series against England starting next Wednesday at Kensington Oval.